Using the context of the United States, 4th-grade students learn significant social studies concepts within an increasingly complex social environment. They examine fundamental concepts in geography, civics and government, and economics through the lens of Michigan history and the United States. Expectations that particularly lend themselves to being taught through a historic, geographic, civic, or economic lens are denoted. 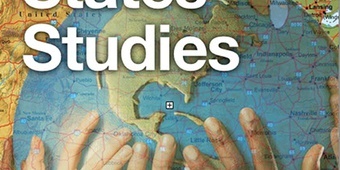 United States Studies, Chapter 1: What Makes the united States Special? In third grade you learned about the geography of the state of Michigan. You may have studied the geography of Michigan by learning about what makes Michigan special. This year, in studying the geography of the United States, you will explore a similar question. It is centered around what makes the country in which we live special. United States Studies, Chapter 2: How Does the United States Economy Work? In previous grades you’ve learned a little about economics and that economics deals with choices. We all make choices every day. We make choices about what to buy. We make choices about whether to save or spend money. You will learn in this chapter that economics is about more than just choices. Economics is the study of how individuals and societies use resources to produce goods and services. It is about competition and prices and trade. As you learn you will be working as an economist, someone who studies economics. United States Studies, Chapter 3: How Does the United States Government Work For You? Should water from the Great Lakes be used in other places? The question of “who owns the water?” and “should it be used to help other places in the country that need it?” is one that our nation has been wrestling with for years. You will be responsible for writing an opinion essay on this very topic. You will be introduced to the topic of decreasing water levels in the Great Lakes by watching two videos and reading a short passage. Finally you will compose an opinion essay on the public issue: Should water be diverted from the Great Lakes to other parts of the United States that need water?